On Monday 16th September 2019 your Monday night has just gone amazing. Ghost – The Band is traveling back to Portland for what will be the unrivalled show in Oregon for all of 2019. This event has a history of sold out crowds with their blend of raw stage performance talent and heart pounding beats, treat yourself to enjoy this award-winning night. Playing on in September, you can expect an unsurpassed evening with this groups unrivalled songs and compositions including a few special surprises! Join critics and fans alike in celebrating this monumental group. But be sure you pick up your tickets early, because supplies are running out fast. When Ghost – The Band is gone, then you may miss out on this unforgettable event. Oregon is a great destination to visit and well known for being heavily involved with the music scene. The Moda Center is the favorite destination in Portland for all the major live music events. Concerts are best experienced shared so bring together some great company to come with you at this magnificent occasion. Are you Ghost – The Bands biggest fan? Here is your opportunity to be star struck as you will see them live in-the-flesh on stage this coming September. So come take a trip and join your friends and screaming fans at this incredible live music experience. 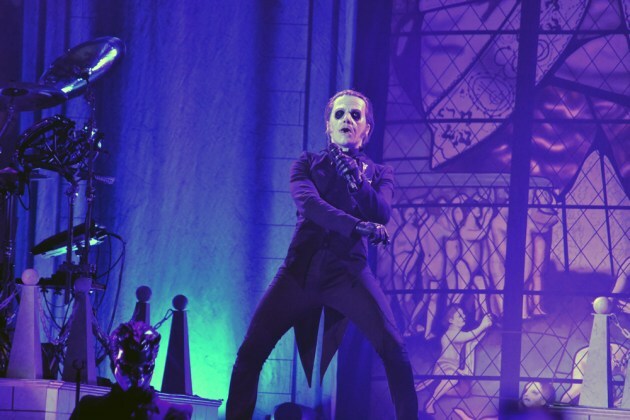 Get your applause in gear and in order as last year Ghost – The Band was called back for an encore at every single show!